Quick blow drying without making hair frizzy and static is the power of Elchims’ hair dryers. They are made in Italy and last really long. Suitable for every hair type. Elchim hair dryer reviews cover its most popular model like Elchim 2001, 3900, and other 2 models. Before I go any further, let’s have quick comparisons among Elchim’s most popular 3 blow dryers. The first 2 are highly recommended by professional hairstylists. Recommended by experienced ladies as well to make hair shiny and soft as well. At the end of the comparison table, you will get detail review on each of them as well. Now that you have my recommended Elchim hair dryer, it’s time to have in-depth reviews on each of them. All the information presented hair is based on feedback shared by ladies across the U.S.A. However, before you make any decision, don’t forget to read as much customer reviews as possible. Among all Elchim blow dryers, this is the best Elchim hair dryer. So, I am gonna start the Elchim blow dryer reviews with the classic 2001 model. Ever you get the feeling to have a blow dryer which is perfect in all the way? Something like the warm setting should have the perfect temperature but the hot settings should not get too HOT? Without making hair frizzy and static, how about a blow dryer that can make your hair shiny and smooth? Well, Elchim classic 2001 is exactly what you need. Like me, a lot of ladies hate when a blow dryer makes loud noises. That’s not the case with this one. It takes significantly less time drying your hair with much less frizz. The end result is something that you expect from a professional hair dryer. And the price is also reasonable and worth every penny. After blow-drying your hair with classic 2001, you will have the smoother texture. Being lightweight, there will be no wrist pain at all. It’s a simple yet powerful blow dryer. Does not have any unnecessary features to make a blow dryer difficult to use. Using it is much easier than traditional hair dryers. With 3 temperature settings and high/low airflow, you will get silky smooth bouncy hair every time. Since it’s a proven fact that it can dry hair much faster, it is highly recommended for ladies who are always running late for work. Lots of ladies have been using it for so many years. As I said above, it’s a great investment for your hair and you will get the benefits years after years without any problem. Now watch a video review on Elchim 2001. A perfect combination of high-pressure airflow and heat. Made in Italy. Perfect for every hair types. Ladies with very thick long hair have confirmed that this blow dryer dries hair more quickly than other traditional hair dryers. 3 adjustable temperature settings like Very Hot, Hot, and Cool. You can control the airflow as well. Use the red button to control airflow and the black button to control temperature. Suitable to use all across the U.S.A (110 volts). Available in 5 colors like White, Black, Pink, Red, Red & Black. 9 feet extra long cord that won’t twist or tangle during the blow drying. Lots of repeated buyers. Huge recommendations from experienced ladies for their friends and families. The nozzle gets very hot, and it’s almost impossible to change it whilst blow drying. If you need extreme hot for blow drying, this one is not for you. No SINGLE cool shot button. 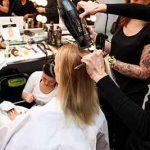 So you have been changing repeatedly the shampoo, straighteners, brushes but still, you are not getting the perfect salon style hair? Did you try using any quality blow dryer like Elchim 3900 blow dryer? If nothing can get you the result you want, you should give it a try. With its strong but directed force, it will not just dry your hair quickly; you will have bouncy silky smooth hairstyle just like what you expect. Let me share you a most common hairstyling scenario. You wash and dry your hair. Then straighten your hair spending hours and end up having almost nothing! Trust me; this is the case of so many ladies. During the blow dry, they usually make the big mistake. You done it wrong, you are going nowhere styling your hair. Well, for so many ladies, Elchim 3900 has solved the problem, forever! I need to make something clear though. You will notice there are some reviews saying this blow dryer is not HOT enough. It’s true if you want to feel it on your hand or anywhere other than your hair. The main reason behind this is the Elchim 3900 produce so powerful wind forces that you won’t feel the heat. You don’t need heat. Drying hair quickly is the main job, and it does it effectively making your hair soft and bouncy. Enough talk? Let’s watch a video tutorial on Elchim 3900 then. Say hello to Italian technology. Turbo hair dryer with 2400 watt Italian AC motor for powerful blow drying. Incredibly lower noise level. Perfect levels of airflow ensure reduction of hair drying time by 30%. For better grip, you will love the handle with raised hemispheres. Comes with 2 concentrators. Use the one for perfect styling and other for brushing. Lightweight. Say no to wrist hurt. 9 feet long cord for convenient usage. Adjustable 3 temperature settings and also comes with 2 airspeeds. If you have a problem with frizzes, try this and see the result. Dry wet hair so fast! You will actually like blow dry with this one. Powerful blow dryer and using it is so easy! Long lasting performance. So many ladies across the U.S.A have confirmed that they have been using it years after years. Not available in dual voltage. Some ladies with thick coarse hair said that the highest heat setting is not enough for them. Tips: Elchim 900 is so powerful. You may find it difficult to control your hair first. So, start by lower setting and then go the next level. When your hair becomes wild and frizzy after drying, this might be the optimal solution for you. Elchim 2001 has already proved itself highly effective against frizz and static irrespective of your hair type. When you need really hot blow dryer with high velocity, Elchim 2001 is for you. Dries hair really faster. So, when you are running late, it will be tremendously helpful for you. Already loved by lots of ladies. Elchim 2001 professional hair dryer can effectively control static. It’s a proven fact by lots of ladies. Their feedback regarding this model from Elchim is really impressive. Highly recommended blow dryer when you need to straighten, curl, or dry your hair in a quick time. Amazing high pressure, you see this type of high pressure only in the salon. I must say, it’s little bit expensive hair dryer in comparison with other brands. But it really lasts long. Many have been using it for 5+ years. Lots of repeated buyers. 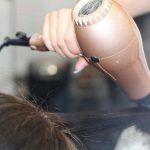 Irrespective of the season you are living in, the blow dryer is suitable for high humidity areas like Florida or winter season as well. They call Elchim 2001 as the perfect balance between heat, pressure, and airflow. Lots of ladies have expressed their positive feedbacks. To them, Elchim 2001 is simply a lifesaver for them! Suitable for all hair types. If you are having trouble with your wild and frizzy hair, you will find it most useful. It’s really hot! The narrow front section is designed to give you extra heat. Italian AC 1875 watt AC motor for powerful, long-lasting, and durable performance. Professional salon grade motor. Ideal for salon and home usage. Professional grade 9 feet long power cord is more than enough for comfortable blow drying. Comes with the high-quality precision concentrator. Concentrating the heat and airflow to a specific section of your hair will give you a great speed in styling your hair. The ceramic plates emit infrared heat to the hair evenly and gently. The heat then seals the cuticle so that you have smoother and shinier hair. Comfortable grip to make blow drying less painful. No incidents of further damaging your hair. Lots of recommendations from experienced ladies for their friends and families. Not so much, but a little bit heavy. May not be suitable for spiral curly hair. Ladies with type B curly hair have found this being not so hot. This is gonna be the last Elchim blow dryer reviews and this time I will review a new addition to the Elchim dryers collection. It comes with every modern feature which you normally expect from a modern high-expensive blow dryer. But I tell you what – it dries hair in record time! In fact, a lot of ladies have verified that it cuts the blow dry time by half. That’s the power of Elchim VIP. It does it with strong force without damaging your hair. Several of them had blow dryers from other brands. They did the comparison and this is how the expressed their feedbacks regarding significant cut in blow drying time. If you are in a hurry always early in the morning, this is highly recommended for you. Strong airflow and high heat have made this possible. But will there be any damage to your hair? Will it make your hair frizzier? Another great feature is that it actually shines hair. Lots of feedback regarding this as well. In fact, some ladies forgot to use any conditioner but got shiny hair blow drying with this one. Use any hairbrush with Elchim VIP and you may not need any hair iron to straighten your hair at all. Some ladies had no idea a blow dryer can actually improve the texture and shine of the hair. After using Elchim VIP, they got smooth & shiny hair. A high-quality well-balanced ionic hair dryer. Emits twice negative ions to the hair than the conventional hair dryer. Gorgeous looking and does not look like a cheap one. Adjustable heat and airflow settings. Intelligent placement of control buttons. Very convenient while blow drying. Comes with double insulated nozzle concentrator for precise blow drying. Heavy duty high-quality power cord. Proven to finish smoother finish without much frizz. Quieter than most other traditional hair blow dryer. Long or short hair? Does not matter, works just fine. It lasts really really long. So even though you are paying a good amount of money, it will return the best for your hair years after years to come. Highly recommended by professional hairstylists and experienced ladies if you want shiny and static free hair in shortest time. Here you have it! I really tried to share as much information as possible regarding these blow dryers. Hope, you find these useful. If you like my opinion, I recommend you to choose the Elchim Classic 2001 or Elchim 3900 healthy hair dryer.